Business Growth HQ - Starting a Business - Do the Numbers Stack Up? That ‘light bulb’ moment and idea for your new business is exciting but it's only the beginning of the journey for an entrepreneur. The moment of truth comes when you do your homework and reasearch to identify all the costs you will incur before you open the business doors. You need to know your forecast revenue for the first three to six months of trading so you can calculate how much money you need to borrow. Where will the loans come from and should they be a loan with principal and interest, a line of credit or a bank overdraft. It's a challenging phase and there's more. You need to establish your pricing and know your break-even point. How many sales do you need to make every day to cover your running costs? Next, by preparing profit and loss projections you can assess if the risk will pay off. There’s no point resigning from your secure job as an employee to work an extra twenty hours a week if your projections suggest you're earnings are going to drop in half. Most people start a business for a better lifestyle and income not the reverse which puts you and possibly your family under financial pressure. The financial aspects of starting a business can be broken down into four steps and it starts by calculating the set up costs and putting together a business plan to secure the funding. Obviously it’s going to cost more to set up a retail shop and buy all the stock compared to setting up a lawn mowing or online business that might simply require a few thousand dollars of equipment and a website. To help you we provide the following guidelines. It all starts by estimating your start-up costs. These might include professional fees like accounting fees for advice and the establishment of your business structure. You also need to factor in graphic design costs for your logo, brochures and stationery. There will be website design and construction costs and don’t forget the IT costs for a computer and internet connection. The list can be deep and it's important to not ovelook the major items which could be furniture, fittings, computers and equipment. If you plan to lease a commercial property you should factor in legal fees to review the lease. You’ll also need funds to pay a tenancy bond which could amount to several month’s rent and you’ll also need to pre-pay the first month’s rent in advance. There could also be connection fees and pre-paid line rentals for the phone line plus costs associated with the connection of utilities. Depending on the type of business you are setting up you might also need to make capital improvements to the building. For example, a coin laundry may need plumbing work or a café may need work on the walls, flooring and toilets. Be warned, some of these items will not be fully tax deductible in the year of purchase. Finally, don’t ignore the outlay on initial inventory. If you sell on credit you might make plenty of sales in the first month but if you don’t get paid for several months you will need sufficient funds to survive this initial trading period. Working capital gives you a buffer and lets you pay all your costs in the early phase of operation like staff wages, rent, phone, power, insurances and superannuation. Once you identify your costs during this phase you can then establish your finance requirements and what is the best form of funding - a loan, line of credit, bank overdraft or even crowdfunding or venture capital. Cost of Sales - raw materials, stock, freight etc. Professional Fees - accounting, legal, architect, copyright, trademarks etc. Technology Costs - computer, internet, software, domain names, smart phone etc. Administration Costs - stationery, printing, insurances, licences and permits, registrations, vehicle costs, utility connection fees and bonds, training etc. Staff Costs - wages, superannuation, agreements, WorkCover insurance, uniforms, training etc. Equipment & Capital Costs – shop or office fit out, furniture, fittings, equipment, cash register, point of sale, scanners, vehicles, trailer, franchise fee, business purchase etc. Marketing - market research, branding, graphic design, signage, website, Adwords campaigns etc. You need to include all the costs you will incur up until the business becomes self-supporting. Depending on the type of business this could take three to six months so your calculations need to extend beyond the day you launch or open the doors. A lawn mowing contractor can be earning money day one while a retail shop can take months to get traction. For example, Google can take 3 to 6 months to index your website content so you could be invisible online for that period so don’t expect to ‘build it and they will come’. A lot of businesses collapse in this phase simply because their expense calculations stop the day they open the doors. Your sales won’t go from zero to $10,000 day one so you can’t ignore the fact that your outgoings will exceed your revenue during this ‘settling’ phase. Your calculations need to include these initial losses otherwise you are at risk of running out of money before too long. A cash flow budget is a very important tool that lets you identify how much money you will need and lets you go to the bank well in advance of a crisis. To forecast your sales you first need to establish your prices. Research your competitor’s prices then look at your costs to determine what price you can sell your products or services for in the market place. Estimate how many products/services you can sell each day and try to be as realistic as possible. Based on your figures we can help you do some financial modelling so you know your best and worst case cash flow scenarios. As a guide, experience tells us that the figures provided by the new business entrepreneur are often massively over stated. We play ‘devil’s advocate’ and work off sales that are usually around one third of their forecasts. When that's all done it’s time to step back and review your revenue projections and start-up costs. Have a look at the assumptions you made and make sure they are sound. Over estimating sales or under estimating costs can change the entire picture and you could run out of funding very quickly. What if your revenue only reaches one third of your forecast in the first 6 months? What will that do to your cash flows and when will you run out of money? Banks don't respond well to business owners knocking on their door when you are a week away from running out of cash. If the figures suggest your business can survive and support your lifestyle it could be time to put the business plan into action. On the other hand, if the numbers don’t stack up then consider revising your estimates. Could you push your prices up, could you buy the stock or raw materials at a cheaper price, could you buy a smaller quantity, could you lease a smaller and cheaper premises? Probably the biggest question is do the numbers support the risk you are taking and will you get funding? If you’re looking to start a business we urge you to consult with us regarding the process. 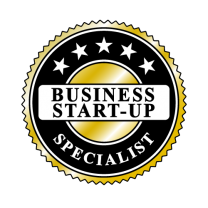 We have earned a reputation as business start- up specialists and can help you identify your start-up costs, assist you with some price modelling and help you put a business plan and cash flow budget together. Beyond that, our marketing skills differentiate us from other accounting firms and we can assist you with your branding (business name, logo and slogan) and where required, we can also help you with your website and social media campaigns to get your business off to a flying start.